Nothing can separate you from Me and My love for you, says the LORD. My love for you is everlasting, and I will be with you, always. No one can pluck you out of My hands that hold you, secure you, protect you, embrace you and provide for you. My hands are loving, and they shield you from the evil one. I will be your faithful and true Savior and friend that will stick with you at all times. I am ON YOUR SIDE, to secure you, fight for you, and defend you, says the LORD. I Am for you, and NOT against you, says the LORD. I do not change with circumstances, and you can depend upon Me at all times. I will NEVER FAIL YOU! My love will never fail YOU! I will never leave you, no matter how many abandon you. I will stand, faithfully by your side through every difficulty that you face. For you are never alone, do not battle alone, and are already declared the victor, before the fray begins. I will protect and keep you always, and be with you in trouble, and always cause you to be triumphant in Me, says the LORD. 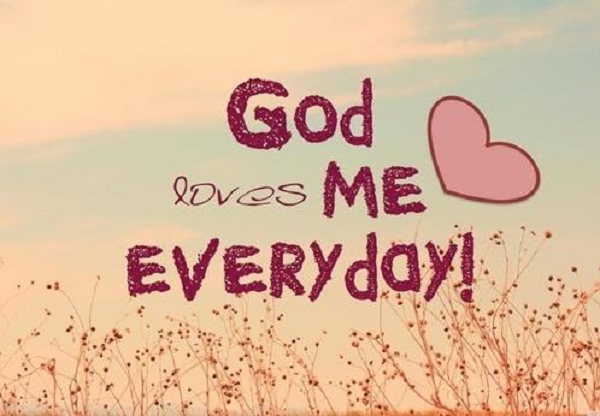 Thank you Father God for Loves me and everyone everyday,,,Amen. Thank You, Lord Jesus, for Your TLC & GRACE!! Have MERCY on me, a TERRIBLE SINNER!! Please CLEANSE me and LEAD me on the RIGHTEOUS road of life. Oh, that was so good for me. Thank you. THANK YOU, THANK YOU MY FAITHFUL FATHER GOD, SO SHALL IT BE FOR ME & MY LOVED ONES, IN JESUS NAME, AMEN AND AMEN!